oh mama, I've been saving up some amazon gift certificates and went on this HUGE FUN and FREEE spending spree. How could I not share the goods with you....or at least make you just a teensy bit green with envy?? First on my list was a preorder....I'm very excited! Sally Jean's new book! lotions, all are "buttercream frosting" and yes, it totally smells like it, this is better than the yankee candles and those are good. I need to email the Stampers' Sampler and let them know the right info on where to purchase her. The artist who created a wonderful doll book is Paula Dion from Mt. Vernon, Ohio. Okay, so now to the even better part! I'm head over heals in love with my new books....the first one being from two people I admire and am honored to know....Linda and Opie O'Brien. Metal Craft Discovery Workshop. It's absolutely awesome and a present I gave myself because I was unable to get into their Saturday Artfest Workshop because the class was full....it was my #1 choice for the WHOLE week! sniff sniff....the book makes me totally happy. Embellish Your Home is such a charming book packed with whimsy and awesome ideas. It's just beautiful inside and out. 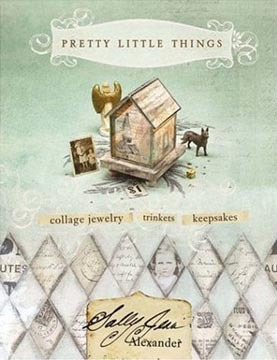 Flea Market Jewelry is a book that is totally what I'm into. I've been using vintage broaches, etc., to make altered art and jewelry for ages...and now, to see these wonderful ideas in print! Love it!! I finally found it....Where Women Create. Sally, you were right...it's incredible. I'm in heaven. Last but certainly not least. I've discovered the most wonderful crochet book....it's Crochet From The Heart by Kristin Spurkland. I can't wait to make stuff from it. I own so many books....all kinds. I can say, hands down that the most inspirational book in my studio is True Colors. It's a masterpiece. Besides the fact that it has some of my favorite artists and friends participating, there are artists who I've yet to meet but admire. True Colors shows us a peek into original art books created by 15 artists. In this Round Robin, each artist picked a color theme for their book, created a cover and did some work inside before mailing on to be worked in by each artist individually. The results are amazing. I've looked through it a million times and still, every time I pick it up, I find something new. This book is so worth the price and will stretch you in ways you never thought of! Books I want, have and recommend! 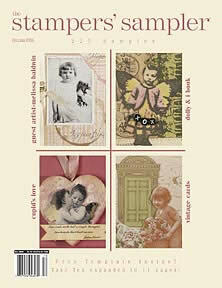 New Collage Sheets and Fun Sites to See!